ASUS displays a line of new products at Computex 2018 including ROG’s first gaming smartphone and TUF’s gaming mouse, keyboard, headset, chassis, laptop and desktop. ASUS unveiled a plethora of new products from ROG and TUF, today at Computex 2018 held at Taipei, Taiwan. 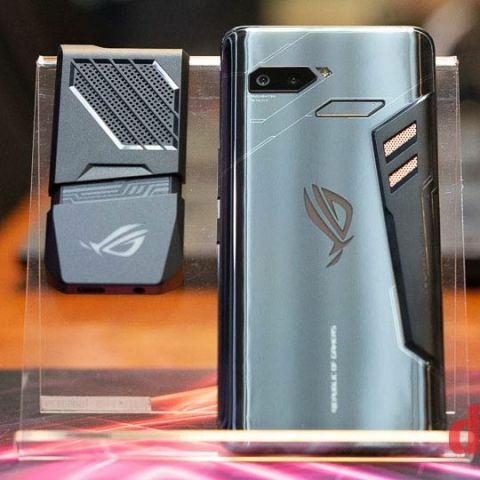 This included the first-ever ROG gaming smartphone with the world’s first 3D vapour-chamber cooling system, and TUF Gaming products like the M5 Mouse, K5 Keyboard, H5 Headset and the GT501 chassis, all of which is developed by their internal teams. TUF Gaming also revealed the FX10CP desktop as well as the FX504 laptop. 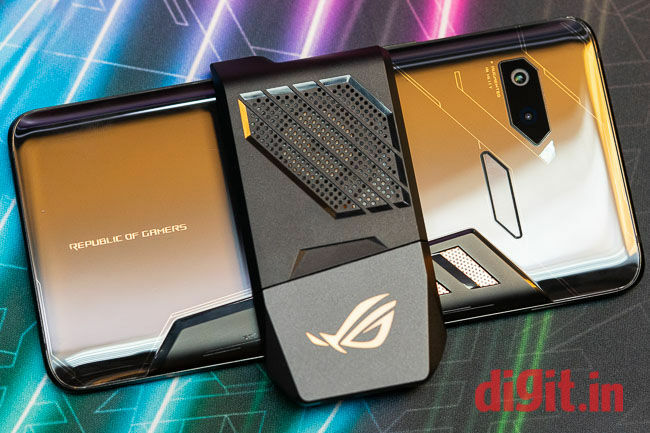 The much-awaited ROG smartphone comes equipped with the world’s first 3D vapour-chamber cooling system in a smartphone known as GameCool, AirTrigger touch sensors, an AMOLED display along with HDR visuals and it sports a unique gaming-centric design. To top it off the ROG phone packs a 90Hz refresh rate and a 1ms response time which will ensure a seamless gaming experience.The device is powered by the world’s fastest 2.96Ghz octa-core Qualcomm Snapdragon 845 processor with the Qualcomm Adreno 630 GPU, specially optimised for gaming. Don McGuire, Vice President of Product Marketing at Qualcomm Technologies Inc. highlighted the long-term partnership between ROG and Qualcomm Technologies Inc., onstage during the event. The TUF Gaming M5 Mouse is specially designed to resist routine wear and tear and is coated with a durable paint that achieves durability. Omron switches are used under the right and left buttons and these are allegedly considerably durable as well. The company claims that the buttons should survive around 50 million clicks, even if the user is regularly playing click-intensive MOBAs. The buttons on the M5 are programmable with the Armoury II software which saves settings for up to three different profiles on its internal memory. The TUF Gaming K5 Keyboard boasts a splash-proof design that withstands about 60ml of liquid, another avenue where TUF Gaming is boosting durability when it comes to peripherals. The keycaps are layered with three coats of paint, which is one more than regular keyboards, hence ensuring longevity. Each cap uses Mech-Brane switches which are specifically tuned to replicate the feel of a mechanical design. The keyboard also houses a Five-Zone Aura Sync backlighting system which can be easily synced with the mouse and comes with customisable colours and effects. The TUF Gaming H5 Headset houses a stainless steel headband which provides extra strength in the required area and also gives it a premium look. The headset is lightweight, which allows gamers to avoid the strenuous weight of other gaming headsets, allowing longer gaming sessions. Each ear cup holds a 50mm Essence driver which is backed by an airtight chamber, emitting improved sound quality. A removable boom on the left side of the headset is also present. The headset has an included USB adapter which adds virtual surround sound to enhance immersiveness. ASUS also unveiled the TUF Gaming GT501 is a chassis which clads all the PC components in matching military-inspired armour. The TUF Gaming FX504 laptop available with a six-core Intel Core i7-8750H processor and NVIDIA GeForce GTX 1060 GPU and the FX10CP desktop with the six-core Intel i7-8700H processor and NVIDIA GeForce GTX 1050 graphics were also released. They ensure that the system has enough horsepower to run through gaming, live streaming and much more. Asus ROG Zephyrus M or Scar II ? Which SSD is compatible with Asus ROG GL552vw ? ASUS ROG GL552 gaming laptop is worth investing 70k or there are any alternative which are better? Dell 7567 or asus rog gl553vd which should i buy please help?? What are Video Game Peripherals ?